This cobalt fragment supports an interesting variety of graphene structures precipitated during swift cooling under high vacuum. Notice the sharp boundary between the dark and light halves. 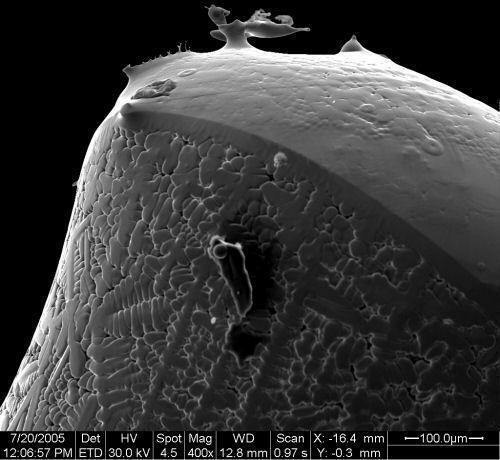 Raman analysis detects graphitic carbon on the dark half. 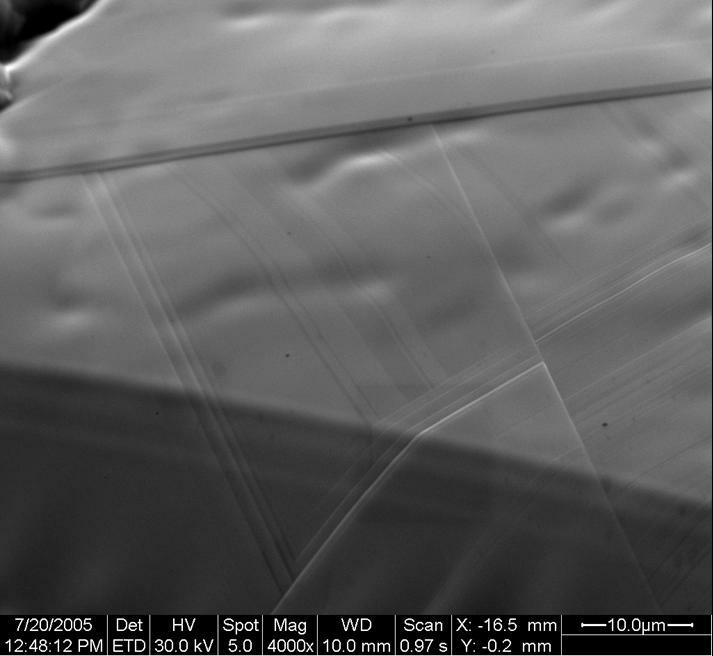 The dendrites provide evidence of graphene covering the light half. These dendrites from the top of the cobalt fragment indicate the presence of carbon, although it is too thin to detect by Raman analysis. Samples prepared without carbon lack dendrites. Although the cobalt solidified into a smoothly curved form, the numerous straight lines are a hint of crystalline graphite draped over the metal.